The play is set in the dining room of a typical well-to-do household, the place where the family assembled daily for breakfast and dinner and for any and all special occasions. The action is comprised of a mosaic of interrelated and overlapping scenes—some funny, some touching, some rueful—which, taken together, create an in-depth portrait of a vanishing level of society: the upper-middle class. The actors change roles, personalities and ages with virtuoso skill as they portray a wide variety of characters, from little boys to stern grandfathers, and from giggling teenage girls to Irish housemaids. Each vignette introduces a new set of people and events; a father lectures his son on grammar and politics; a boy returns from boarding school to discover his mother’s infidelity; a senile grandmother doesn’t recognize her own sons at Christmas dinner; a daughter, her marriage a shamble, pleads futilely to return home, etc. Dovetailing swiftly and smoothly, the varied scenes coalesce, ultimately, into a theatrical experience of exceptional range, compassionate humor and abundant humanity. The director is looking for 8 actors, 4 men and 4 women, to play 57 roles. Additional actors may be cast. Auditions will be held: Sunday, February 17th from 7:00 – 9:00 p.m.
Monday, February 18th from 7:00 – 8:30 p.m. There is No Pay. Rehearsals begin immediately upon being cast based on cast availability. 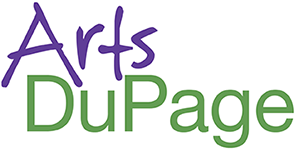 Auditions will be held at 129 Main St, West Chicago. Auditions will consist of cold readings and improvisations. Walk-ins welcomed as time permits. 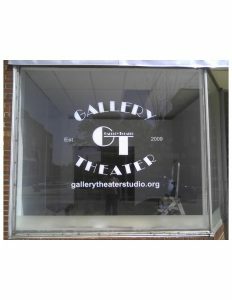 GALLERY THEATER IS IN THE CITY OF WEST CHICAGO 60185, NOT CHICAGO, check your GPS for location BEFORE scheduling your audition. Metra station is approximately 2 blocks from the theater.